Our digital team at Auckland Libraries have created an online exhibition to complement the current Sir George Grey Special Collections exhibition, the Big O.E. The exhibition is running until 14 June 2015 on the second floor of the Central Library and the online exhibition is located here. Ref: Ron Clark, Oriana, 1960s, Sir George Grey Special Collections, Auckland Libraries, 1207-1448. 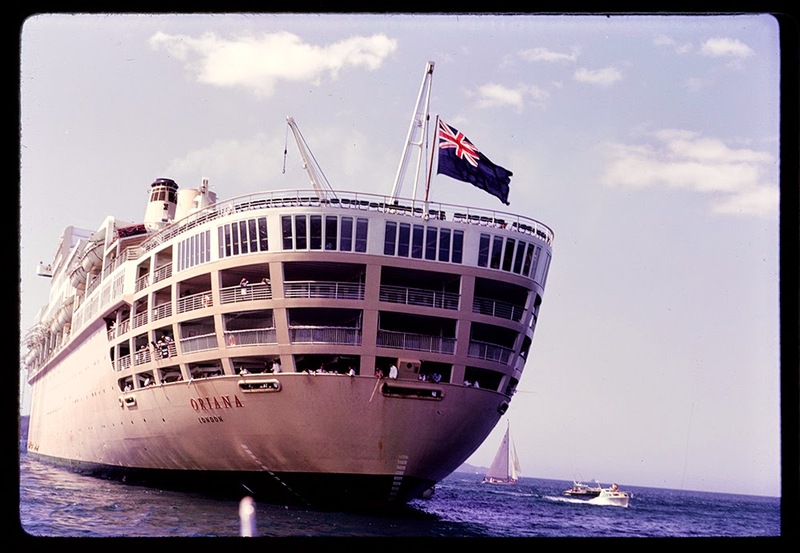 The online exhibition is a great opportunity for those who can’t make it in to the library to see some of this wonderful and nostalgic exhibition about New Zealanders and their big Overseas Experiences (O.E.). Objects in the exhibition cover a wide range of New Zealander’s big O.E.s and include ephemera like tickets, early air travel brochures and timetables, postcards and luggage tags. 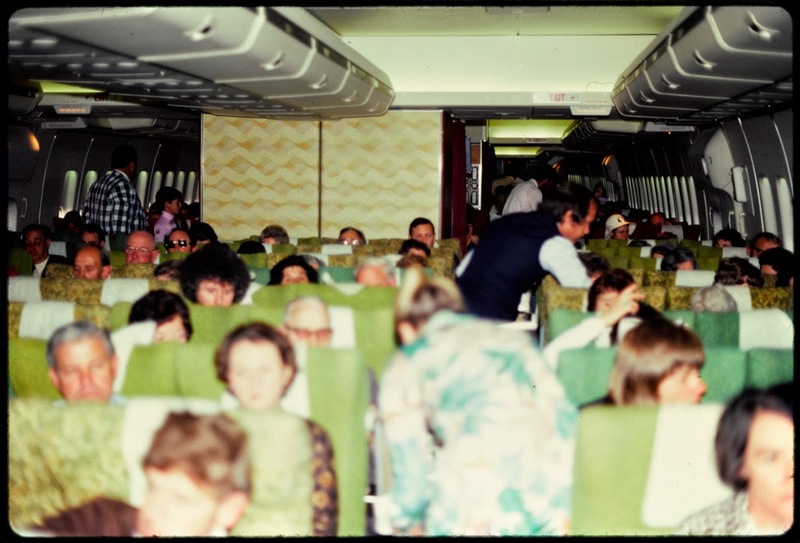 Ref: Ron Clark, Inside a Qantas plane, May 1976, Sir George Grey Special Collections, Auckland Libraries, 1207-2502. Subjects covered in the exhibition include OEs by New Zealanders involved in the performing arts and literature, early Māori travellers, sporting OEs, early twentieth century travellers, working holidays and of course the overland hippie trail. There is also a selection of Ron Clark photographs that he took while on OE with his wife Muriel in the 1970s. Listen to exhibition curator Georgia Prince and Muriel Clark being interviewed by Wallace Chapman on the Sunday Morning show on Radio New Zealand.